My project Welcome to the Show! is now on @elgravatvic until the 31st of March. 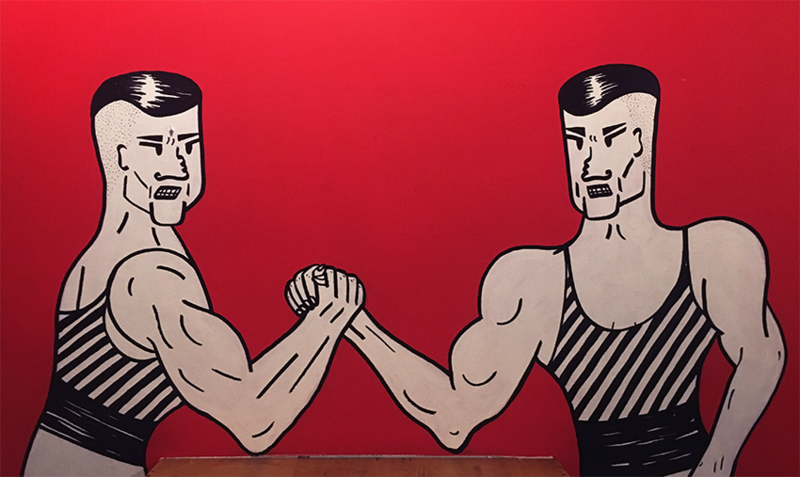 I used the opportunity to draw a mural on the wall, two of the characters featured in the project, the twin acrobats arm wrestling against each other. El Gravat is one of the most emblematic places in the old town of Vic. Its chef Oriol Sala elaborates tapas and introduces Japanese cuisine, very well integrated with the traditional Mediterranean cuisine. 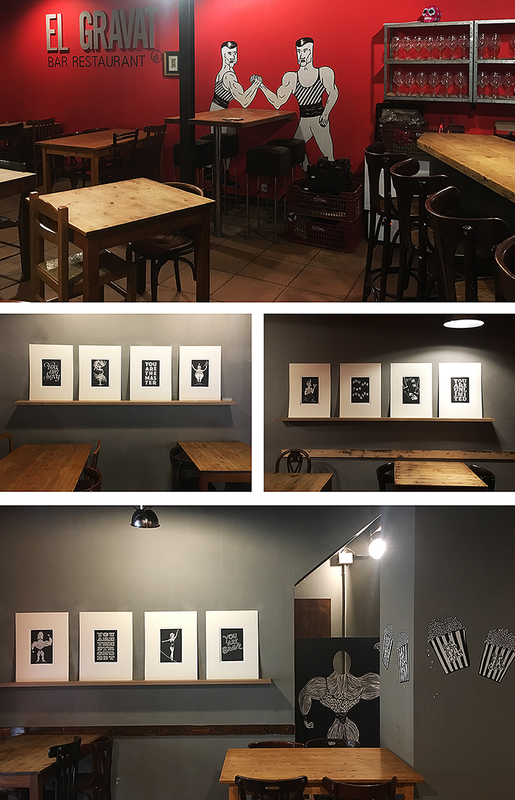 Come to see the exhibition and enjoy the delicious tapas!